Not everyone in Moscow welcomes the crowds and spectacle 2018 World Cup will bring. Alexander Shprygin, a former Russian soccer hooligan, says he doesn't expect any violence during the World Cup because of the heavy police presence. 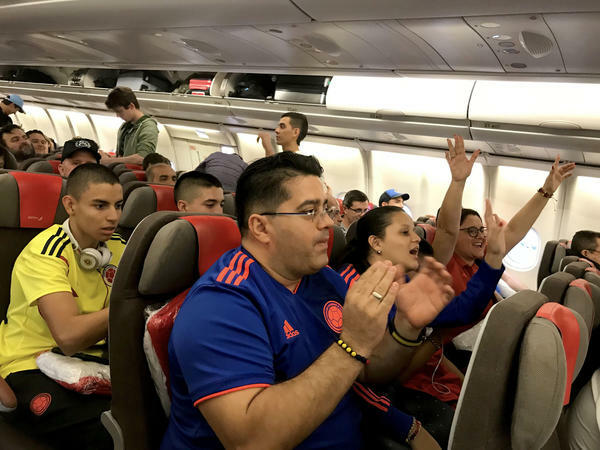 Soccer fans traveling from South America cheer after boarding a connecting red-eye flight from Madrid to Moscow. Students are still cramming for final exams. 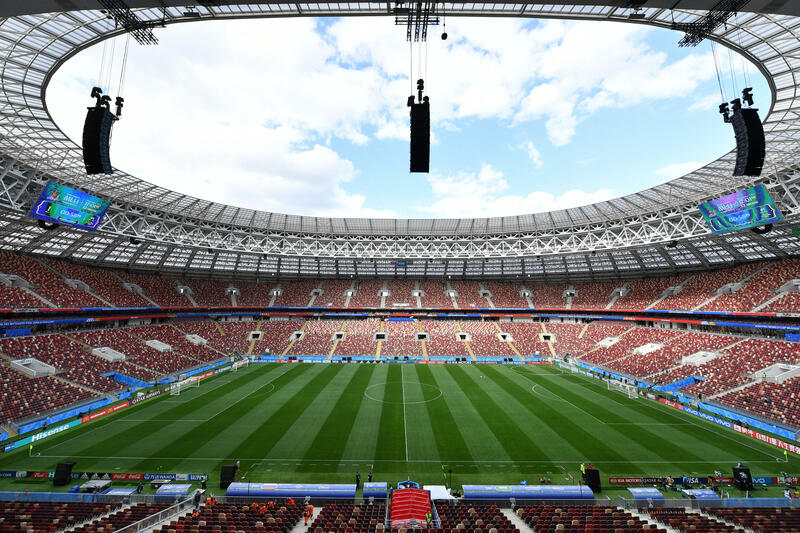 But starting with the tournament's opening match between Russia and Saudi Arabia on Thursday, thousands of screaming soccer enthusiasts will pack the official fan zone in front of the university's landmark main building to watch the tournament. Not everyone at the school is a fan of the World Cup. "It won't just affect students, but the work of research institutes and laboratories," said Nadya, a 24-year-old biology major who belongs to a group of students that opposes the fan zone. She asked that her last name not be used for fear of repercussions from the university administration. The 2018 World Cup is the latest large international sporting event hosted by Russian President Vladimir Putin. For the next month, hundreds of thousands of soccer fans will flock to Russia to watch 32 national teams play for the title of world champion. Nothing – and no one – will be allowed to disrupt the party. "Many students are scared of participating in protests since it carries the risk of administrative consequences, even criminal charges," said Nadya, who wore a sweatshirt with the English abbreviation of her university, MSU. "There were instances when students declined to sign petitions because they could face punishment." Moscow students' muted opposition stands in stark contrast to the boisterous, even violent, protests against the World Cup in Brazil four years ago. In Russia, the authorities have cracked down on the slightest dissent: After a World Cup sign near the MSU campus was defaced recently, two students were arrested during an exam and a third was threatened with criminal charges. While Nadya isn't sure if she'll watch any of the games, Alexander Shprygin says his biggest dilemma is deciding what he'll do during the World Cup. A former soccer hooligan, Shprygin is the head of a fan association whose activities were suspended after a massive fight between England and Russia fans in Marseille, France, two summers ago. After the street battle, Shprygin was kicked out of France and barred from attending the Confederations Cup in Russia last year. He hasn't even bothered applying for a World Cup fan ID, which is required to buy a ticket. "Now the FSB, the Federal Security Service, is dealing with fans. That's because the World Cup is a personal project of our president, and a lot is at stake," Shprygin, a burly 40-year-old, said in an interview in the Brawler's Pub in Moscow. Just as Putin personally intervened to bring the Winter Olympics to Sochi in 2014, he worked hard to bring the World Cup to Russia. When the country's bid won eight years ago, Putin thanked FIFA, soccer's international governing body, for the honor. "You can take my word for it, the 2018 World Cup in Russia will be up to the highest standards," he said in English. "We are eager to do our best to secure the comfort and safety of our guests." Russia's law enforcement agencies have heard their orders. 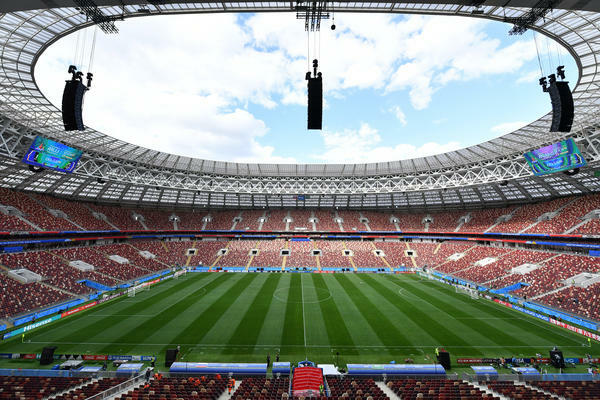 Anton Gusev, a police general in charge of World Cup security, says that the authorities have taken into consideration "all risks and threats" to the tournament, which will be held in 11 cities in western Russia. "It's possible we'll shut an eye to minor infractions," Gusev told reporters last week. "But we're ready to take tough action against offenders at any time and any place." Russian law enforcement has taken "preventative measures" and will work to prevent "bad ideas" from being put into action, he said. Retired hooligan Shprygin says he's confident that there will be no repeat of the violence in France, because of the heavy police presence. 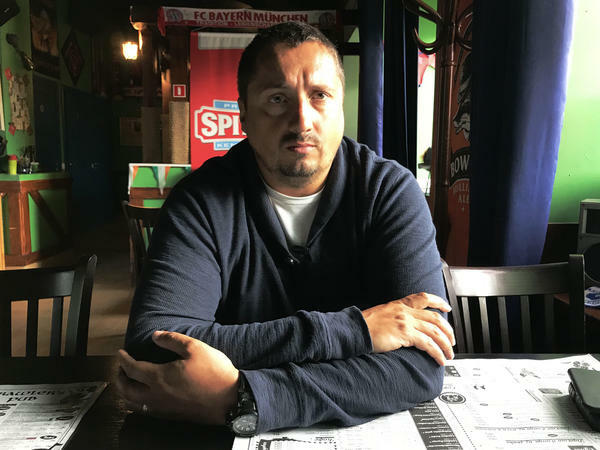 "All the soccer hooligans in Russia aren't waiting for the World Cup to start – they're waiting for it to end, so they can go back to their normal lives," he said. At least that's one thing that Russia's most violent fans and Moscow students can agree on.